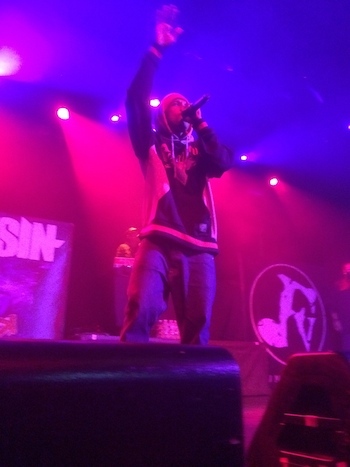 California’s rebel rapper Hopsin has been stirring up all kinds of attention during his Knock Madness tour. Although his past shows revealed his inner depression while on the road, he made sure not to bring the crowd down during his stop at Irving Plaza this past Saturday. 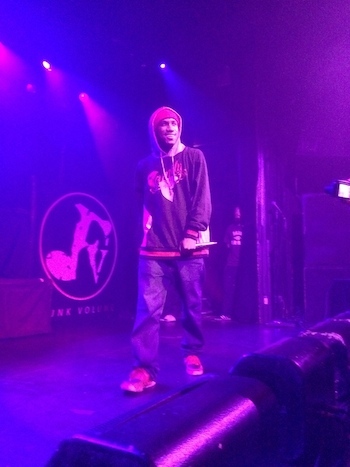 With DJ Hoppa providing the beats along with YC TheCynic & Soul Khan opening up the show, Hopsin delivered a unique showcase of talent that New York hasn’t seen in ages. Between the hype from YC and the throwback flow of Soul Khan, the crowd was ready to receive a wild set from one of the more stand out independent rappers to come from the West. The face of Funk Volume was killing it on stage for over an hour, spitting out hits off his recent album Knock Madness. From “Still Got Love For You” to slightly nodding at his depression with “I Need Help”, Hopsin blessed the crowd by bringing his latest body of work to life in more ways than one. Not only did he briefly bring a select few members of the crowd on stage with him, but he also unleashed his “Lunchtime Cypher” with upcoming MC’s Passionate MC, G Mo Skee, Deebo and Julz aka the Buddha Monk. He even took it back to the beginning stages of his career with his verse from “Am I A Psycho” and his infamous “Ill Mind of Hopsin 4”. Hopsin’s passion was alive and well throughout his entire set. He even connected with the crowd during his numerous crowd surfing sessions, in which at one point it he was walking on top of the hands of his fans. Hop gave hip-hop a good, clean name for his New York fans and will continue to do so throughout his tour. Check out some flicks from the show here.